Home > Schemes Overview > Are Loyalty Schemes Really Worth it? Many of us are sceptical of loyalty schemes and the benefits they offer. We’re all well aware of the old adage you get nothing for nothing. But do we really have anything to fear when it comes to loyalty schemes? Are they a waste of time and energy or a useful way of saving money? Are loyalty schemes really worth it? Loyalty schemes are offered by companies to entice consumers to returning to their store or product. The providers hope that by giving their customers rewards for shopping with them they are more likely to return. Whenever you make a purchase you are given points that can be traded in for products. There are plenty of schemes on offer and most shops offer loyalty cards. But they are only useful if you utilise them to your advantage. 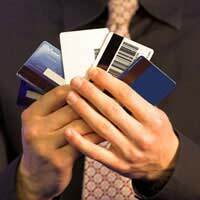 And you will only feel the benefit if you manage your card effectively. Are Loyalty Schemes Worth It? Loyalty schemes undoubtedly have their benefits. Store cards often offer discounts and advantages for consumers. However they have their pitfalls in that the interest on the purchase is often quite a lot. They can be quite dangerous as when buying on credit the consumer can often lose track of how much they have spent and therefore spend much more than they intend to. Then of course there is the interest meaning they spend even more. Therefore store cards are not always advantageous to consumers. When it comes to loyalty points schemes though there are obvious benefits and very few pitfalls. The consumer pays nothing to take out the loyalty points card. Once they have the card they can collect points on each purchase they make and then spend the ‘points’ in the store. However the reason some people believe loyalty points cards are not worth the bother is they tend not to use the points they earn. The loyalty points card can only be beneficial to you if it is used correctly. There is no point collecting the cards if you do not make the most of the points you collect. How you spend the points depends on you. If you shop in the shop regularly you may choose to use your points on everyday products. If not it may be more useful to you to collect points throughout the year and then spend them on a big occasion. You will only feel the benefit of your loyalty points scheme if you make the most of the points you earn. You should also remember to keep your card with you at all times and give it to the shop assistant every time you make a purchase. You may feel it’s not worth it to get your card out to collect a small amount of points but it all adds up in the end and you will only feel the benefit if you use your card effectively. If you use it wisely you could find yourself saving a considerable amount of money.